In January of 2018, we started work on project #churchillslane. This project was a collaboration between our in-house Creative Director, Beth Bourque, and Masterpiece Woodworks. The project included a custom island, Built-in cabinets, and a completely refaced fireplace. But it was not without challenges. No problem for our team. We turned a small snafu into a truly ingenious space planning savior. Come along on the journey with us and see how we handled some of the challenges of custom building. Our first webisode shows our initial field measure. The field measure is one of the most important aspects of our process and is something we do on almost all bespoke interiors. It allows our team to get into the space, doublecheck the measurements from the architect or contractor and really start the creative visioning process. Our second episode shows how we constructed the bookshelf and a peek into our workshop. 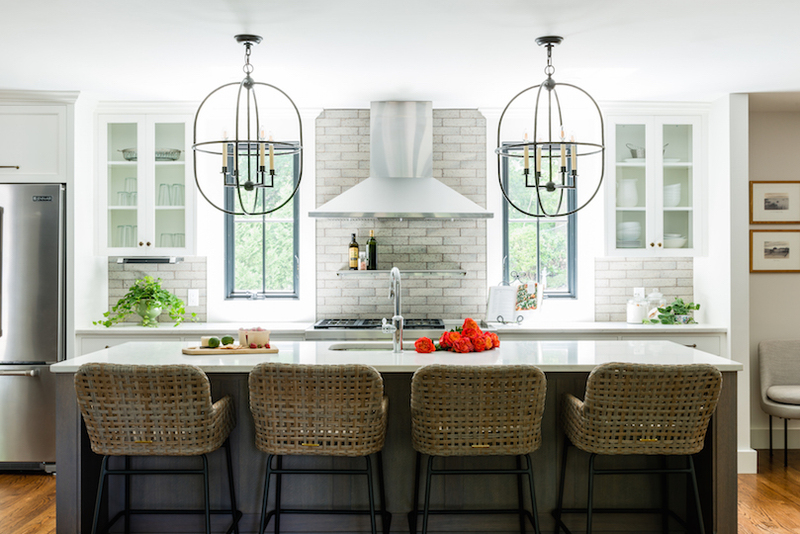 Finally, the third webisode shows the big reveal and some ways that custom really helps you build a kitchen of your dreams.